You receive "Unable to connect to Hard Disk 1: Input/output error". 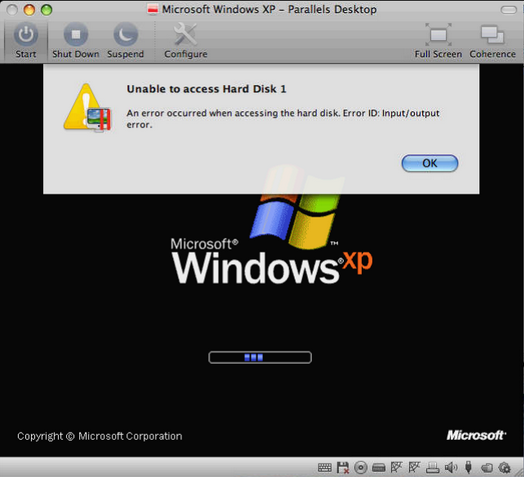 Important notice: If you use Parallels Desktop 7 or 8 check this article: 112140 An error occurred while accessing the Hard Disk. When you are trying to make a copy of .pvm file of your virtual machine you get the copy error "Error code -36". The sector of Hard Drive Disk where the data of virtual machine is stored was corrupted. The problem is on hardware level. Locate the files you need and copy them to the Mac side. Create a new virtual machine, install Windows there. 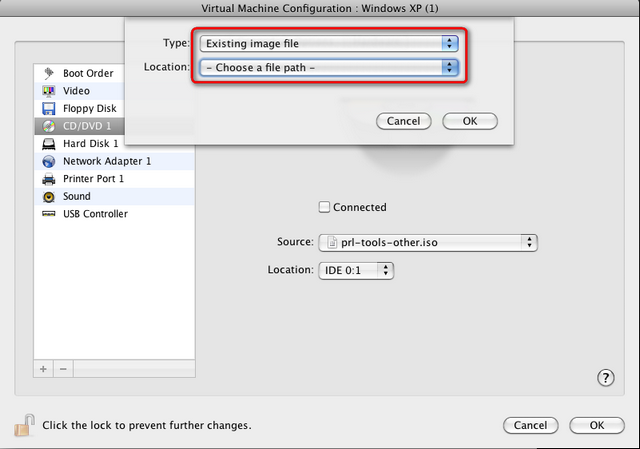 In configuration of the new virtual machine go to the configuration editor add the hard drive image of the corrupted virtual machine. 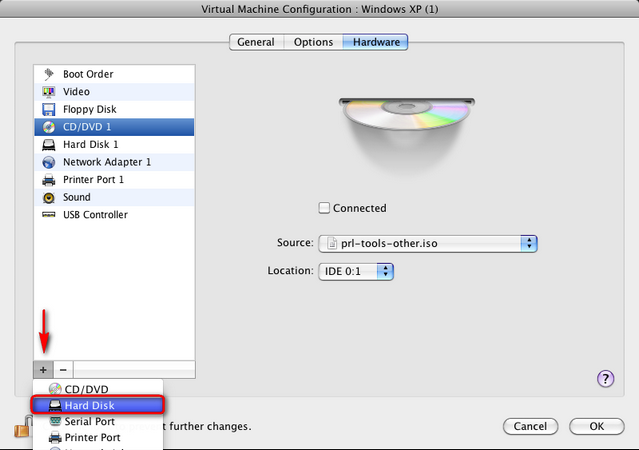 After the start of the new virtual machine, additional hard drive image will appear as an additional labeled disk. Copy all the necessary data to disk C , untie the hard drive image in configuration of the new virtual machine and delete the .pvm bundle of the corrupted virtual machine.